Tech Travel Agents are here to make your next audio visual rental a cost effective and simple process. We deliver nationally to thousands of businesses across the country. We take the time and effort into customizing each rental order to fit the specific users needs. Tech Travel Agents offer a large variety of audio visual rentals for all types of events, not just corporate or business related events. If you have a personal event like a wedding or family event, then an audio visual rental from Tech Travel Agents is a great idea. 1,000 - 20,000 Lumen Projector Rentals for all sized events for any rental period! Renting a projector is perfect for your next presentation or business meeting. 42" - 103" Plasma and LCD Flat Panel TV Rentals! 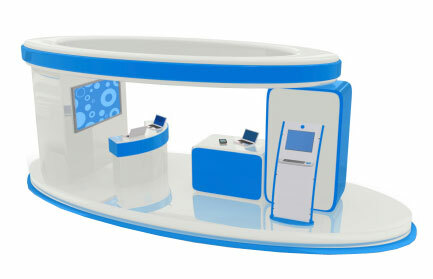 Rent a plasma flat screen display for maximum impact on visitors to your tradeshow or conference. Connect to laptop computer, DVD or other source. Rent with speakers, stands or wall mounts. Our agents offer rentals in all types of sound equipment, from microphones and sound boards, to speakers and amplifiers. Our solutions include delivery and installation of high quality sound technology at a fraction of the cost that in-house equipment would cost to rent. 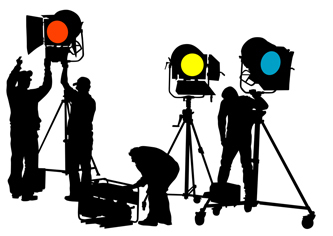 We also offer lighting equipment rentals for both staging and film productions. The right kind of light is crucial for getting professional quality out of any kind of visual production. From full kits to simple on-camera lights, we can supply you with the right solution to meet your lighting needs. Video wall rentals are excellent if you need to display video that exceeds the format size that any single plasma screen can display. So for big events like conferences or conventions, where you need to display video to large crowds, renting a video wall where multiple plasma panels work together to display a single image is an ideal solution. When producing video, nothing makes up for shear professional grade equipment. No matter the level of professional post-production, the editor's work is ultimately only as good as the quality of the video that he or she is handed. Let one of our agents supply you with professional audio visual rental equipment, at a fraction of the cost of purchasing it. Looking for other equipment? Check out our Event Rentals. A Tech Travel Agent is your one point of contact for complete staging rentals!